Redhead Marketing & PR assembles some of the best talent we know to work on a variety of branding projects. We are passionate about extracting our clients’ visions and creatively presenting them in a compelling and unique manner. Recently, we have completed two very different branding projects. One was for Spruce, a new interior design firm opening a showroom in Midway, Utah. The other was a rebrand for a technology company, Noorda Technologies, based in Salt Lake City that specializes in scanning and 3D modeling using Reality Capture. For each client, the process is a new adventure as an opportunity to grow and better define themselves. And it is just as exciting and challenging for us! We begin with a kick off and brainstorming meeting. This allows us to develop an understanding of their industry, their audience and customers, their mission, and what they wish for their brand to convey. We also explore the type of collateral they think they need, so we know the various applications for their logo in terms of printed materials, digital use, trade show displays, clothing, and more. After this initial discussion, we create a customized branding worksheet. This encourages businesses to have their key players be super thoughtful when it comes expressing what they like and dislike about competitors’ branding, what they seek for their own brand, and identifying key messaging. Next, we are able to take this information and begin the exciting brand exploration process and develop a variety of distinct concepts for consideration. Once a direction is determined, we work to refine the design based on feedback from the client. When the logo design is finalized, we create a style guide to define how logo should be used, signature fonts, and various logo iterations. The branding process does not end there. More fun ensues as we come up with designs for various collateral like brochures, business cards, letterhead, and envelopes. It’s truly rewarding to see the branding take shape and how we can apply it to practical items. Below are the recent projects for Spruce and Noorda Technologies (showing before and after). AFTER: Redhead Marketing &amp; PR’s Logo Design inspired by the company’s 3D modeling work and blueprints that are used by architects. Feel free to contact us with any questions about your brand. We are happy to discuss how we can create it or improve it! Public relations is a great, cost effective marketing vehicle for small businesses. The problem is many don’t know where to start or have the time or skill set to effectively execute a public relations campaign. Fit Small Business asked 25 public relations professionals to offer up some public relations tips for small businesses. We were pleased to be included (see #17). As a marketing and public relations firm, our suggestion for the article was to have a synergized approach to social media marketing and public relations. Too frequently, we see businesses of all sizes outsourcing these important initiatives to multiple parties which makes it difficult to stay on message. It also poses a challenge for small businesses to manage and interact with different firms or individuals. Redhead Marketing & PR was included in a story that offers up tips from PR pros for small businesses to follow. Check them all out – we are #17! Thanks Fit Small Business! Presenting 12 social media tips in honor of 12 days of Christmas (we could go on and on, but we are sticking to the holiday theme!). A reporter recently asked us to provide some social media advice for entrepreneurs, so we figured we’d share them here as well. These apply not only to new businesses but to ALL businesses who want to make their social presence more effective and powerful. Try implementing some of these for your company’s New Year’s social media resolutions! 1) When launching your business on social media, use the platforms that you are both familiar with and where your audience is likely to be present. We often see businesses on too many platforms that they don’t have the ability to manage. 2) Don’t mix business with pleasure. Create separate accounts for your company. One of our pet peeves is when people use their personal social media accounts to promote their businesses. These should be separate accounts . 3) Ensure your posts are grammatically correct! Nothing screams lack of professionalism more than grammar and spelling errors. 4) Don’t post in the first person, especially if your company is a brand and not an individual, politician or celebrity. 5) Experiment with different times of day with your posts to discover if there are days/times that receive more engagement. 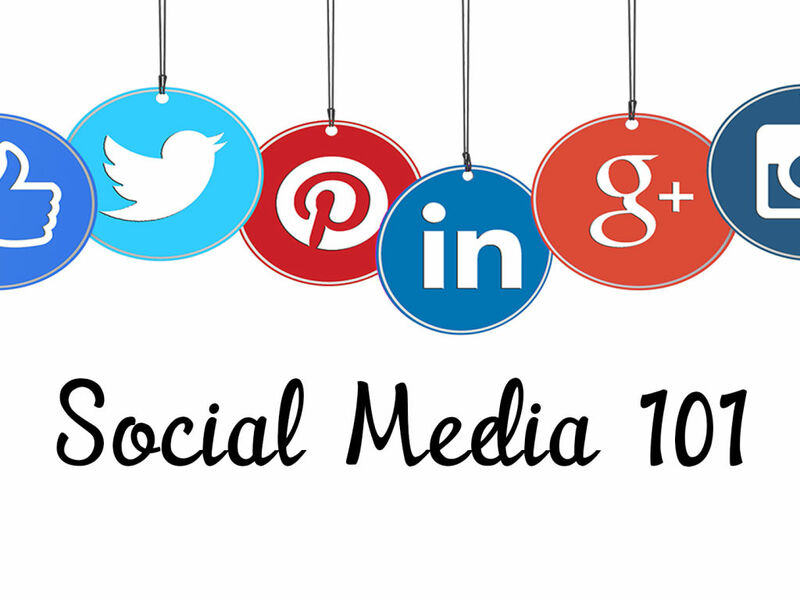 6) Use social media to drive traffic to your website to boost your organic SEO. Links to your blog and other pages on your website should accompany posts when appropriate. 7) Respond to both positive AND negative comments/reviews in a professional, timely manner to demonstrate strong customer service. 8) Social media strategy should be implemented into your overall marketing plan and branding. 9) Be consistent in your voice and messaging on your own accounts and when engaging with other businesses on theirs. Too many people posting can be detrimental to your brand while confusing your followers. Designate one or two individuals on your team to manage your social media campaign. 10) Post regularly to keep your following engaged. This is also an experiment to find out what frequency of posting performs best for your business. A great way to ensure regularly is to create a monthly calendar of content. It’s important to also be nimble, but a calendar generally keeps everyone on track and results in businesses being more likely to post. 11) Partner with social influencers whose following is likely to be your businesses’ customer demographic. 12) If your company’s staff is too busy or lacks the knowledge to take on social media, outsource it to an individual or agency (like Redhead Marketing & PR!) who understands your industry, consumer demographic, marketing strategy, and brand. For personal and professional reasons, we are very pleased to announce our newest client, The Utah 1033 Foundation. 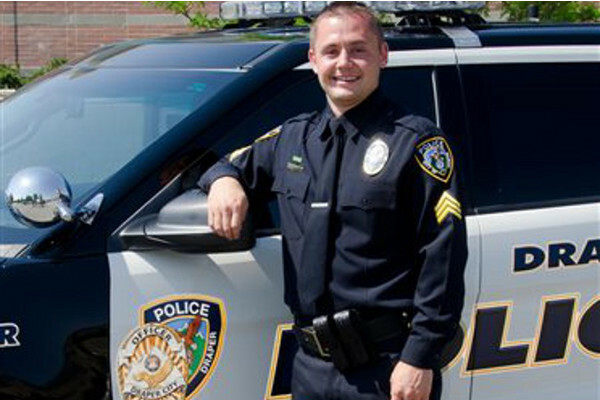 Created a couple of years ago by Park City, Utah residents Tore and Mona Steen, the Foundation provides immediate financial support in the amount of $25,000 to the families of Utah’s police officers killed in the line of duty. As a New Yorker still living in the city during September 11, this cause is especially significant to me. On my own, I made multiple trips in my Jeep Cherokee delivering food and first aid supplies to the law enforcement personnel working tirelessly in the Ground Zero area. I watched in awe as they risked their lives to search for survivors while grieving their coworkers who rushed into the burning towers to save innocent citizens. As a result, I have the utmost respect for the firefighters, police and other first responders who are willing to make the ultimate sacrifice to protect us and keep us safe. Our public relations contract with The Utah 1033 Foundation began September 1, and it was a day marked by tragedy. Draper Police Sgt. Derek Johnson was shot and killed in the line of duty, making him the first Utah police officer to be killed in 13 months. The Utah 1033 Foundation delivered a $25,000 check to the Johnson family to provide financial support for immediate needs like funeral expenses. We salute Draper Police Sgt Derek Johnson who lost his life on September 1 and extend our deepest condolences to his family. The Foundation plans to expand its services by providing scholarship funds to the children of our fallen heroes. They also plan to provide support to families of firefighters killed in the line of duty. Redhead Marketing & PR will provide public relations, event planning and grassroots marketing services to help this worthwhile organization raise awareness and funds. For more info on The Utah 1033 Foundation and to donate, click HERE. Like The Utah1033 Foundation on Facebook. The annual Adobe Digital Marketing Summit washeld March 20 to 23, 2012 at the Salt Palace Convention Center in Salt Lake City. One of the companies attending the Summit, Ensighten, enlisted Redhead Marketing & PR to manage its event planning initiatives that coincided with the gathering of 5,000 industry attendees. Adobe would not allow Ensighten, an industry leader in tag management technology, to exhibit at the conference. so they decided it was necessary to get creative to elevate their exposure amongst attendees. 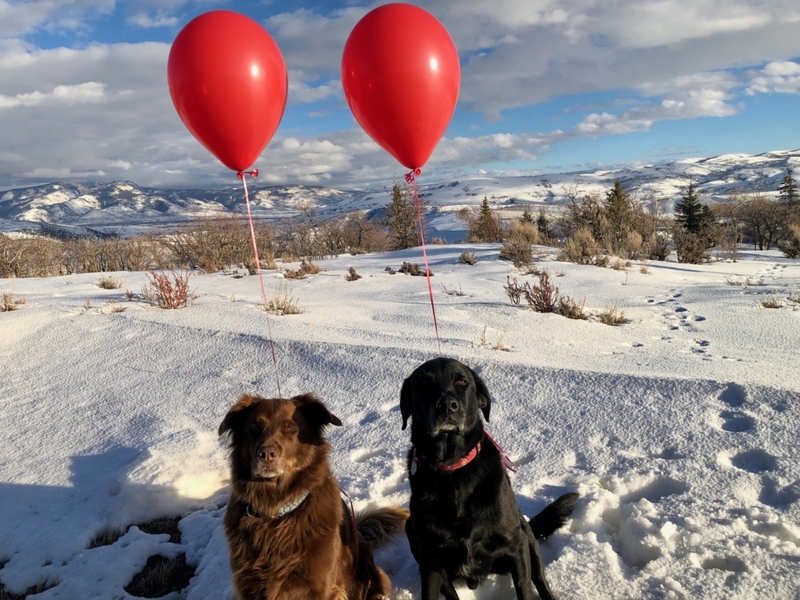 As experienced event planners with first-hand knowledge of the Salt Lake City and Park City, Utah areas, Redhead Marketing & PR was engaged by Ensighten for our creative services and to coordinate publicity stunts and some guerrilla marketing tactics. Capitalizing on the theme of Ensighten being “Banned in SLC,” we created branded t-shirts and stickers for distribution during the conference and at Ensighten’s demo suite next to the Salt Palace at the Radisson Hotel. We also coordinated complimentary airport transfers for Adobe Summit attendees from Salt Lake City International Airport to downtown Salt Lake City hotels. This provided a unique opportunity for Enisghten staff to mingle with clients and invite them to a demo while in Salt Lake City for the Adobe Summit. Attendees checked in for their rides by providing business cards to our staff manning Ensighten-branded transportation desks in the baggage claim areas of both airport terminals. The vans featured Redhead-designed graphics that promoted the Ensighten “Banned in SLC – What is Adobe Hiding from You?” theme. More than 300 Summit attendees were given rides into town by Ensighten shuttles…a successful lead generating mission accomplished with exceptional return on investment. We’ve had an exciting flurry of new clients as we transition into fall colors and cooler temperatures here in Park City, Utah…and as we proudly mark Redhead Marketing & PR’s one-year anniversary. 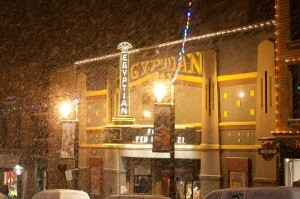 Park City’s beloved, historic Egyptian Theatre has engaged Redhead Marketing & PR to coordinate a new annual fundraising event, First Winter Blast. Taking place at Montage Deer Valley on November 5, First Winter Blast is a winter kick off celebration featuring an open bar, seated dinner, live & silent auction, winter gear fashion show with Olympians modeling, and live music & dancing. It all begins at 5:30 p.m. Redhead is coordinating sponsorships, auction donations and volunteers. If you would like information about sponsoring or donating an item to the auction, contact hilary@redheadmarketingpr.com. We’re also now working with Aliya LifeSpan, an asset management company based in Nevada that specializes in Life Settlements. Redhead will develop an e-marketing strategy and printed collateral that is distributed to financial advisers, in addition to refining the website copy. And last but not least, Redhead has been engaged by zReturn to create and manage event marketing initiatives. zReturn.com is an easy, inexpensive online lost and found service. It provides its customers with tags to register and identify valuables such is iPads, laptops and cell phones. If an item is lost, the tag directs the founder to the website to be connected with the owner to facilitate the return. This all may be accomplished without providing personal information. A pack of three tags can be purchased online for just $6.95. We’re hoping to start by giving away tags to attendees at Sundance Film Festival 2012 events. You can be sure that the new Redhead iPad arriving this week will be tagged! Get your valuables tagged at zReturn now.